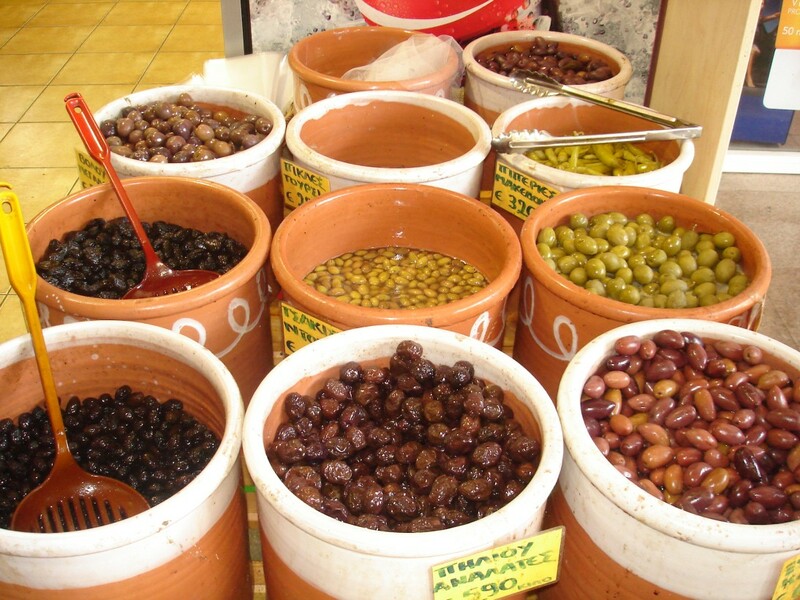 We did our own culinary tour of Crete last autumn when we spent almost a month on the island. We expected good food but we were blown away by the quality, the dedication (of the growers, the wine-makers, the restaurants and the chefs) and especially the belief in organic food, not for fashionable reasons but simply because it's the right thing to do if you want the best quality food. So we were delighted to see a UK tour company, Travel Editions, offering a culinary tour of Crete this autumn, and we're pleased to share some of the details with our visitors. Although it's run by a UK tour operator, you don't have to live in the UK to book the tour! 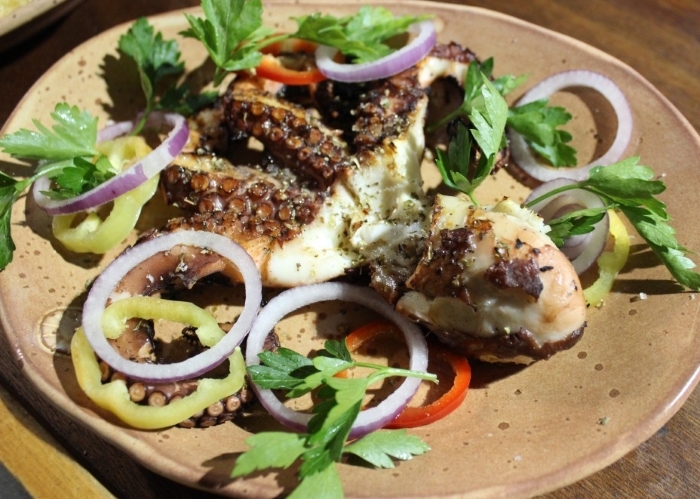 Stelios is incredibly passionate about his island and its food, wine and culture. Day 1: Fly from London Gatwick to Chania. Welcome dinner at the Cellar Taverna, situated right on the seafront, a well-established, family-run taverna for over 20 years. Day 2: This morning we will have a cookery lesson at the Cellar Taverna, with hands-on preparation of traditional Cretan dishes such as tzatziki, Greek salad, delicious cheese and spinach pies made with local cheese, yemista and dolmades (stuffed vegetables) and kleftiko (lamb stew). Both lunch and dinner will be at the Cellar Taverna, enjoying the food that you help prepare. This afternoon is at leisure giving you time to explore the town and to visit the interesting archaeological museum. Day 3: Morning visit to a rural village, home to Stelios’ parents. Today’s visit to Stelios’ parents’ house and their small farm in a tiny village in the hills, provides the opportunity to learn about traditional Cretan life and how it is still possible to be almost self-sufficient when you grow all of your own produce and keep some livestock. There will be some wine tasting, from Stelios’ own barrels, cheese tasting and the chance to taste some of his mother’s produce which she continues to make, grow, or prepare - these include Greek spoon sweets, walnuts, olive oil, raki (a strong Cretan spirit), honey, lemonade and even snails! 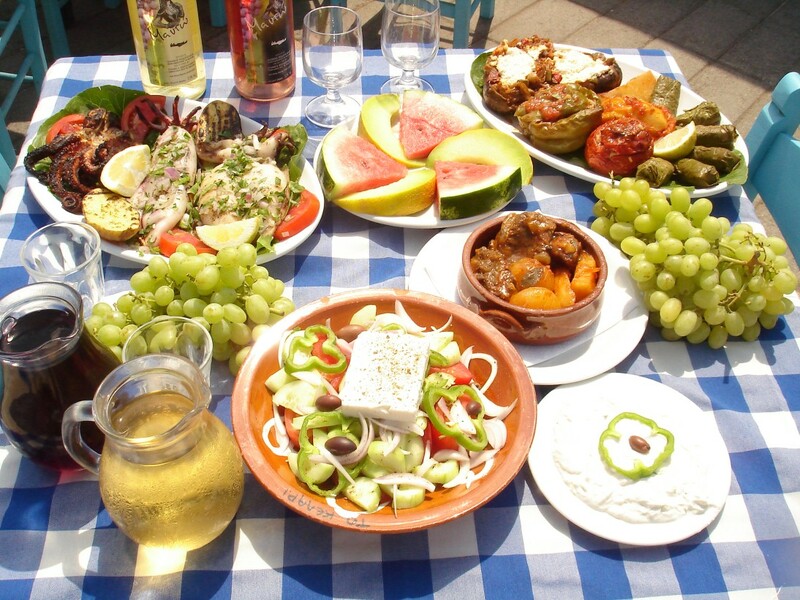 Lunch today will be at a local taverna in the hills and the afternoon is free to spend as you wish before dinner at the Cellar Taverna. Day 4: Morning visit to local producers. This morning we will visit a winery, a cheese maker, sweet maker and an olive oil factory where you will learn about the cultivation and production of these local products that play a huge role, culturally and economically in Cretan life. Lunch today will be in a taverna in the picturesque village of Deliana, which is also home to a beautiful 13th century church, which we have the opportunity to visit. Day 5: Full day visit to Chania. An atmospheric Venetian harbour town, Chania is set against a spectacular backdrop of majestic mountains and aquamarine seas. A turbulent history saw its occupation by the Romans, Byzantines, Venetians, Genoese, Turks and Egyptians, but this has left behind a rich and captivating architectural heritage. We will wander the streets and alleyways of the old town to reach the bustling market where we will have lunch in one of the traditional tavernas. This afternoon is free for you to explore Chania further at your leisure. Day 7: Morning visit to Crete’s botanical park. Strolling through the wonderful scenery of the botanical park we will learn more about plants, herbs, fruit, vegetables as well as plenty of fascinating local knowledge. Lunch will be at the Botanical Park followed by the afternoon at leisure before a farewell dinner at the Cellar Taverna. 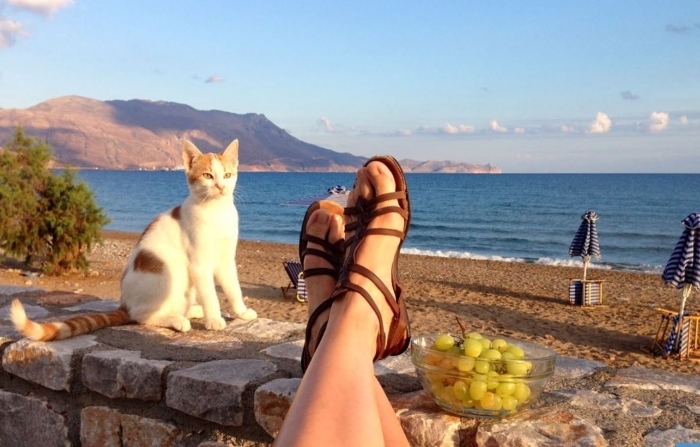 The base for the week is the friendly Galini Beach Hotel, situated on Kissamos' small promenande, right next to the sea. It offers simple, comfortable bedrooms with private bath/shower, air-conditioning (extra charge payable locally if required), TV, and balcony. Departing 26 September 2017, Culinary Crete costs from £1,225 pp (two sharing), including flights (Gatwick), seven nights’ B&B, four dinners, five lunches, transfers and the services of tour guides. Call Travel Editions on 020 7251 0045 (www.traveleditions.co.uk).